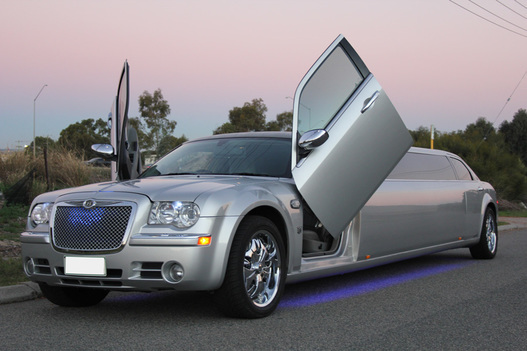 Few limo hire Mandurah vehicles can match up to the sheer majesty of the Chrysler Limo. It is often regarded as the king of the castle, and for a good reason. If you are thinking of getting the very best limo possible for your event, consider the Chrysler. Chrysler remains a popular limousine hire Mandurah choice because of luxury. Few makes and models have the same level of pampering on wheels that these beautiful machines do. Whether you want to impress or you just want to travel in style, a Chrysler always delivers. These vehicles are built to very high standards of quality. The result is a luxurious ride and a smooth experience, all combined with a prestigious American marquee. A Chrysler is guaranteed to have impeccable interior coachwork, for maximum comfort and luxury. Chrysler has a reputation as one of the best luxury limo hire Mandurah choices, and it maintains that status in every vehicle to roll out of its factories. The use of a Chrysler limo lets you make an impression and a grand entrance. You coming to an event in one is just the right combination of pomp and spectacle to draw attention, but without being gaudy or ostentatious. Clients who go for a Chrysler are looking to be exemplars of class and sophistication. At the same time, they want to avoid being too in-your-face or brash. If you have old money, are new money, or just want to splurge a little, a Chrysler offers the perfect complement. Our fleet of Chrysler limousines presents the best of the best. We boast an impressive number of these vehicles, each one well-maintained and ready to serve. Whether you need the best mobile sound system ever designed or an interior covered in rich Corinthian leather, our limos are up to the task. Don’t hesitate – when you need the best, call for a Chrysler from our fleet.